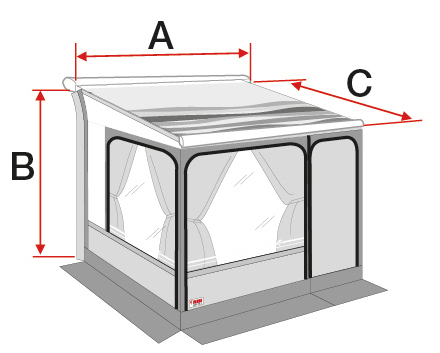 With a Privacy Room you transform your awning into a comfortable living area and make more space available for the entire family. The widened windows, rounded forms and the insertion of grey tones make the product more elegant and modern. 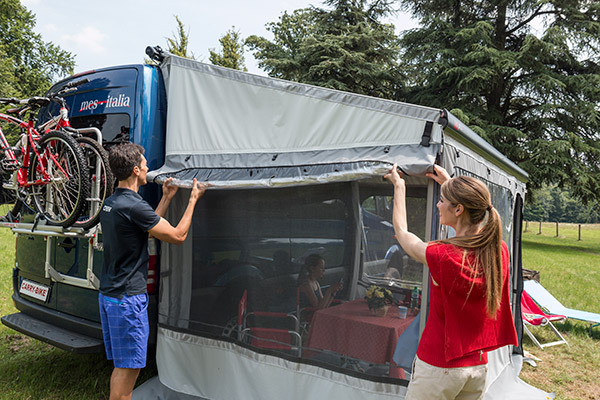 The quality materials and the extremely resistant structure guarantee the functionality and sturdiness of the product already appreciated by campers. 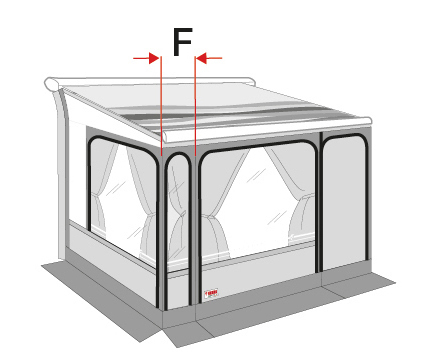 Privacy Room is designed for F45s, F70 and F45L awnings. 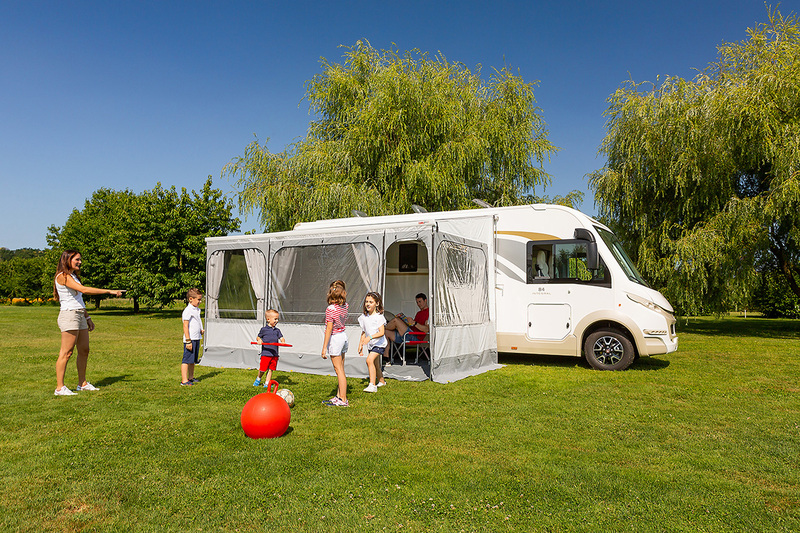 F80s, F65s and F65L only if installed on Fiat Ducato after 06/2006 or Caravan. It also fits perfectly to the Omnistor 5002, 5003, 4900 and Tristor 2. 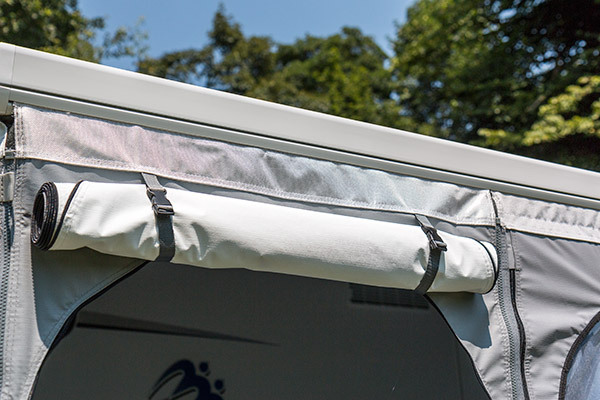 The side panels are quickly put together with the exclusive patented Fast Clip that combines the canopy with the side walls. 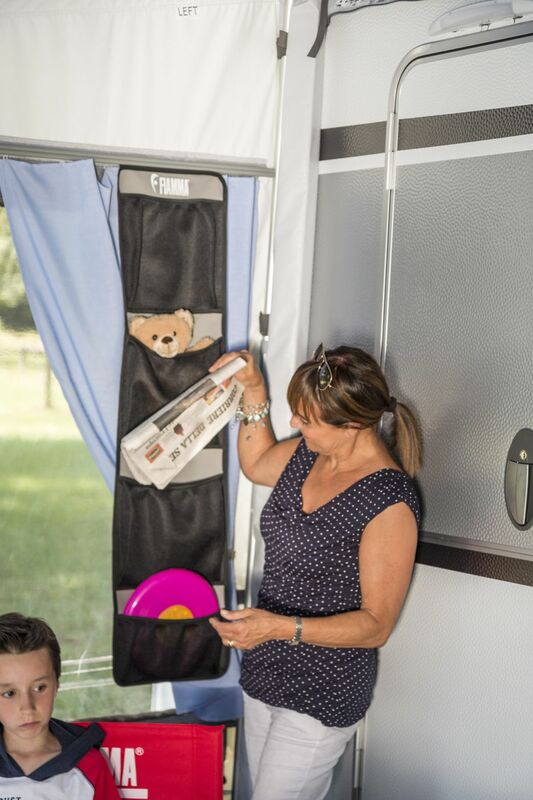 No other fixing system is as stable as the Fiamma Fast Clip. A protective sponge is fitted, vertically, on the back part of the side panels along the support pole to guarantee a close fit. 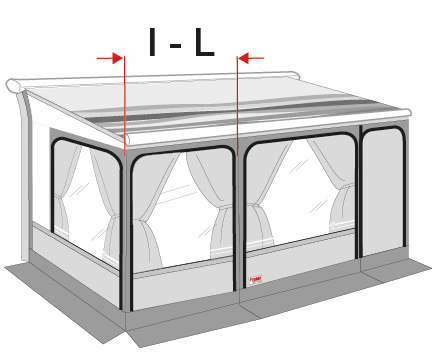 The front panel is inserted in the front rail of the awning and is joined to the side panels through zippers. 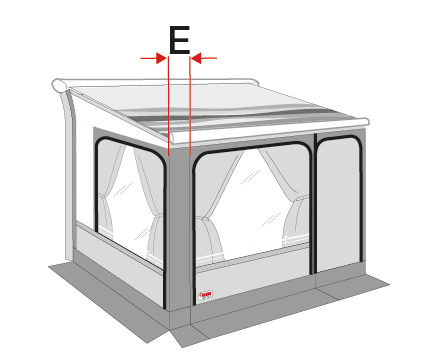 The Privacy Room for F80s/F65L awnings is produced in the standard length of 320cm. 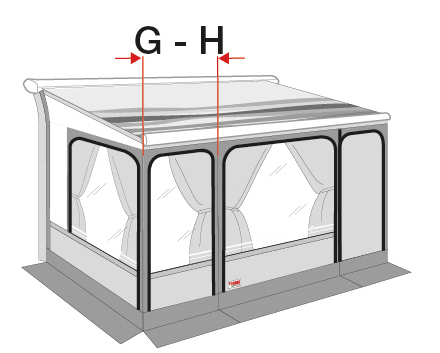 Additional zip panels of 20, 40, 70, 100, 125 and 150cm length are available to enlarge the front panel of the Privacy Room so as to fit awnings up to 450cm length. 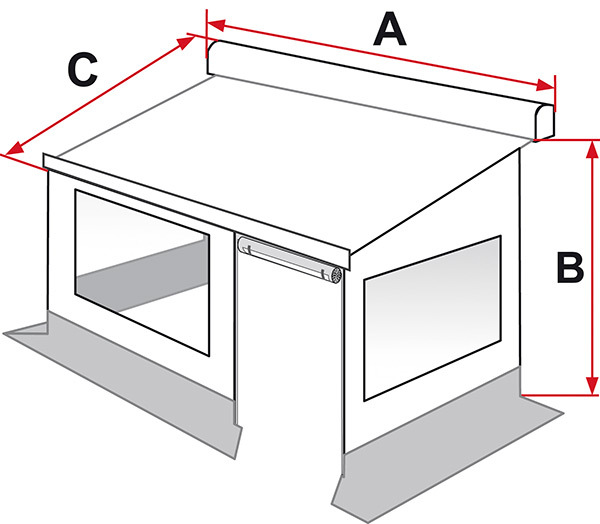 * For awnings F45s 300 VW T5/T6 long wheelbase use Front Panel 40 and Privacy Room 260 VWT5/T6.